Build Your Dream Kitchen with US! We have a vast experience in granite countertops, backsplash and fireplaces. 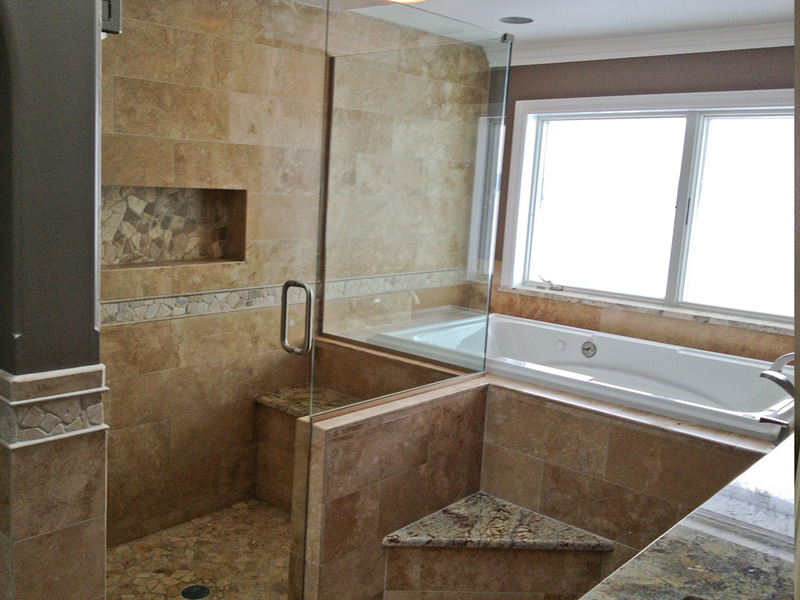 Design your bathroom with our granite and marble vanities, showers and floors. Upgrade your kitchen, bathroom or bar sinks to fit your needs or design ideas. 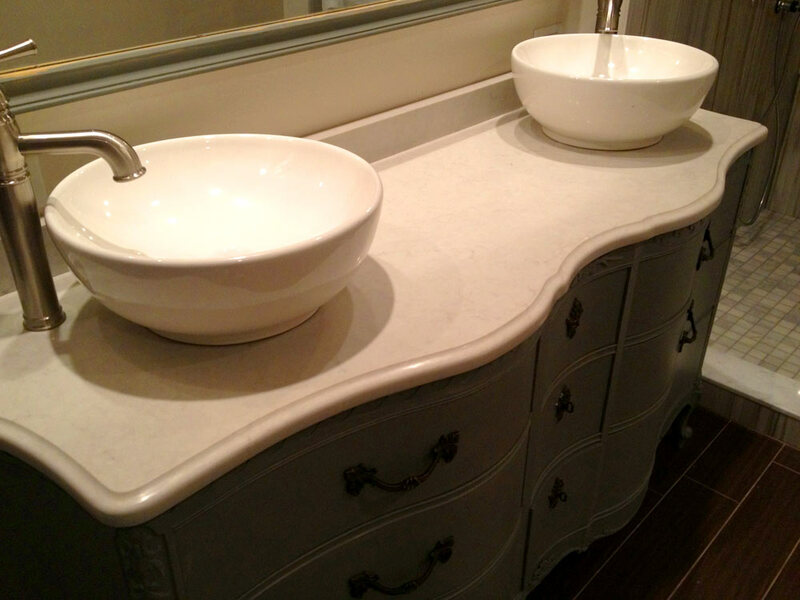 Gemini International Marble and Granite specializes in fabricating and installing natural stone surfaces. Our mission is to provide our customers with the highest quality product and workmanship at the most affordable prices. 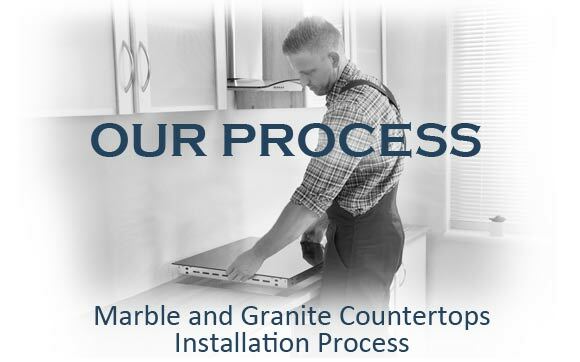 Over our years of experience in fabricating and installing granite countertops for residential properties, we honed in to a 6 steps short version of a how to buy list. How to Buy Granite Countertops? 1. Shop for the best value. Most granite countertops installation companies offer free in-home estimates. 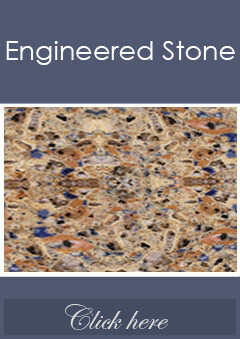 You will find Discounted Granite truly offers the highest quality stone for the lowest possible price. 2. 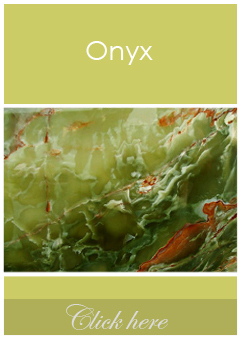 Once you decide where to purchase your granite countertops, select a color compatible with the decor of your home. 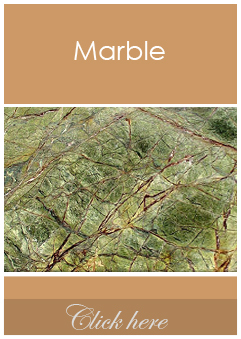 Since granite countertops are natural stones, color variation, pits, and hairline cracks are common. This adds to the natural beauty of your stone. Therefore, your granite countertops will not be identical to the showroom sample. 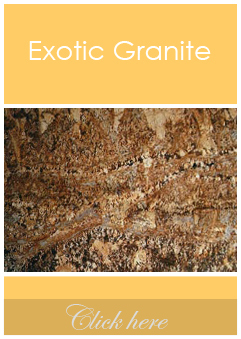 Discounted Granite encourages you to choose your own slab directly from our warehouse. 3. Next, decide if you prefer a drop-in or under-mounted sink. You must provide your fabricator with sink templates, so it is important to purchase your sinks before work begins. 4. Choose a countertop depth. Granite countertops are either two or three centimeters (3/4 or 1 inch) thick. Thicker granite countertops are more expensive, but are stronger and more attractive. 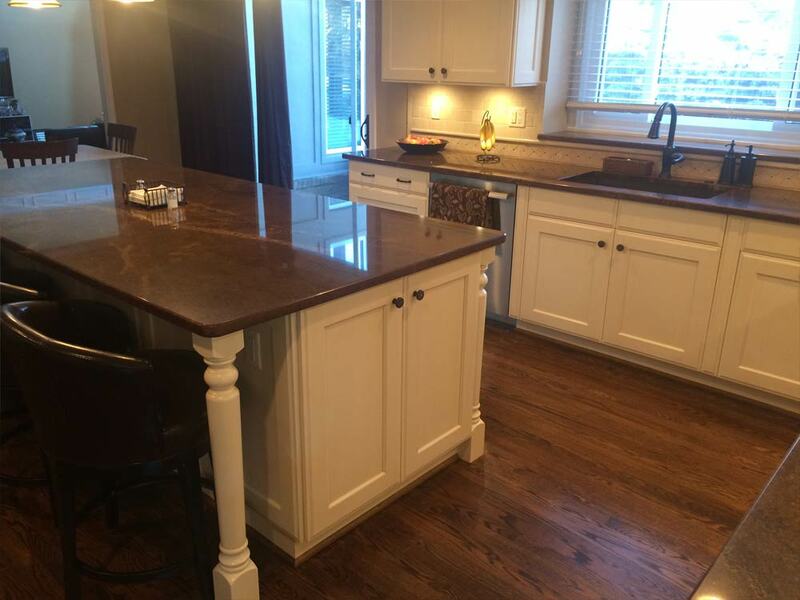 Two-centimeter countertops cost less, but usually require plywood supports and laminate edges. 5. Determine what type of granite countertops edges you want. If you don’t see what you like in our showroom, ask us for a custom design. Consider cabinet detail and other architectural features of your home when making your decision. 6. 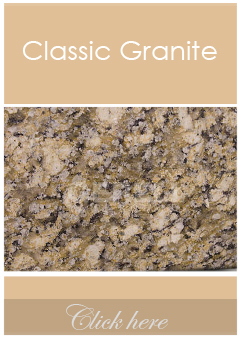 Decide if seamless granite countertops are important to you. Seams in granite countertops are often visible, so you may choose to pay extra for seamless fabrication. Seams can be placed near sinks to minimize their appearance, but this may gradually damage the grout due to water exposure. Ask your installer what would work best for you. 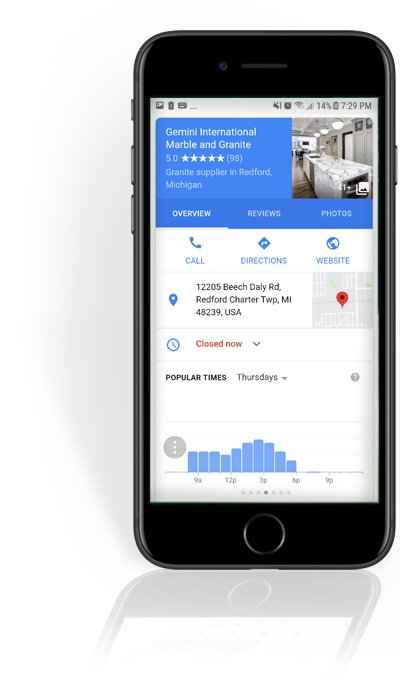 Contact us now to schedule an appointment and get your free estimate. We offer a multitude of colors for our materials, so go ahead and look for the one that speaks to you! We offer design, fabrication, and installation of granite kitchen countertops and bathroom vanities for Homeowners or builders. Choose Gemini International as your natural stone supplier. Our products are manufactured to your exact specifications and add convenience, and beauty to your everyday life. At Gemini International we provide a wide range of materials for commercial properties. If you are an architect, interior designer, contractor, or business owner, we offer natural stone and quartz surfaces to fit your needs!